Historian and political scientist Guenter Lewy is no stranger to the topic of genocide nor to exploring controversial issues. His penchant for approaching topics from contentious angles continues in Outlawing Genocide Denial, as he scrutinizes the practice of criminalizing genocide denial. 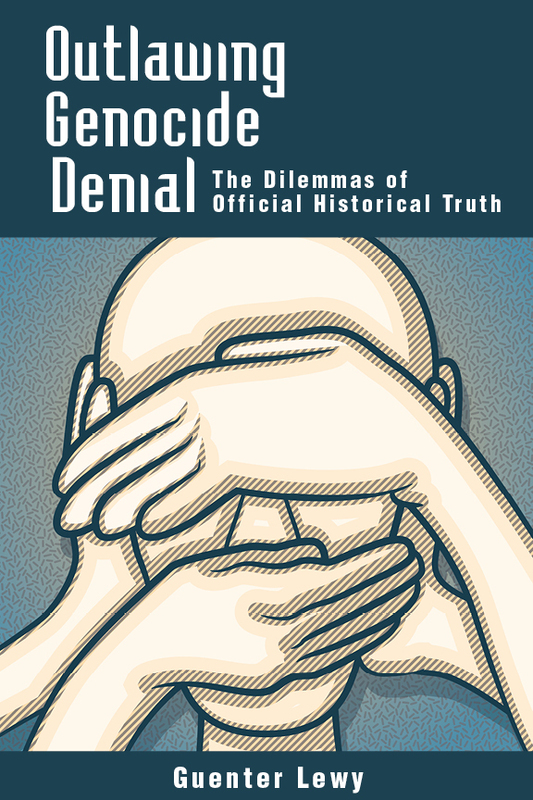 Holocaust denial can be viewed as another form of hatred against the Jews and preventing it can be understood as a form of warding off hate speech. Germany has made it a crime punishable by law. Other European countries have similar laws. While the rationale for such laws seems reasonable, Lewy asks readers to look again and to consider carefully the dangers that these laws could present. His discussion neither dismisses the ramifications of genocide denial nor justifies it; he instead looks closely at the possible risks of government-enforced interpretations of history. Outlawing genocide denial sets a precedent of allowing governments to dictate historical truth and how events should be interpreted. Such government restrictions can be counterproductive in a democratic society which values freedom of speech. Lewy examines these and related ideas through the analysis of historical and current examples. He posits his own conclusion but leaves it up to readers to view the evidence and arguments and form their own opinions. Guenter Lewy is Professor Emeritus of Political Science at the University of Massachusetts Amherst. His books include The Catholic Church and Nazi Germany; The Nazi Persecution of the Gypsies; The Armenian Massacres in Ottoman Turkey: A Disputed Genocide (The University of Utah Press, 2005); and Essays on Genocide and Human Intervention (The University of Utah Press, 2012).